Our mission is: assisting individuals with disabilities to live independently, pursue meaningful goals, and have the same opportunities and choices as all people. 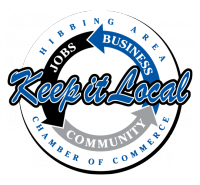 A.M. Construction of Hibbing Inc. Locally owned drafting service specializing in blueprints and 3D design for residential homes as well as remodels, additions, cabins, garages, decks, and light commercial.